To place an order click on the image of the stamp you require. Common Seals No. 1 through to No. 6 are available as a Self Inking, Hand Stamp or Folding Common Seal. No. 7 is available as a Self Inking and Hand stamp only. 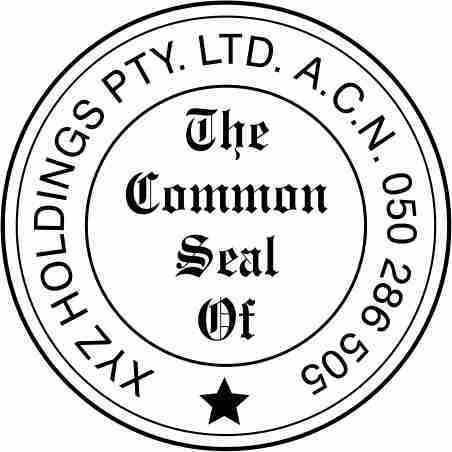 Strata Title Common Seals or Company Seals, are used for stamping official company documents, Body Corporate and Strata Title requirements. 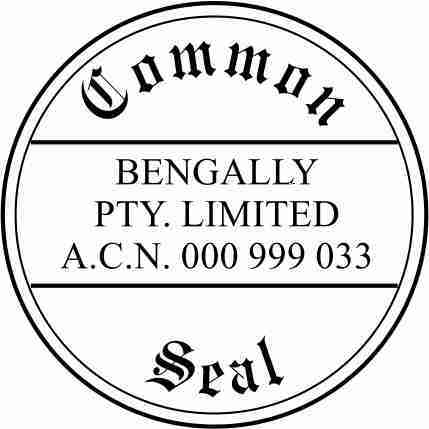 Common Seal stamps are 38mm in diameter and are available as a Self Inking, Folding Stamp or Traditional Hand Stamp. Strata Title Common Seals No. 7 is 48mm in diameter and is only available as a hand or self inking stamp. Self inking stamps are quick and easy to use and can be re-inked when needed. It is important to use the correct ink when re-inking not only the Self Inking Common Seals but the Traditional and Folding Common Seal stamp pads as well. If the incorrect ink is used this could affect the rubber due to the image becoming distorted and as a result will fall off the stamp mount. The type of ink required to get the maximum life from the stamp is water based not oil based. The Folding Strata Title Common Seals have a handle that folds down to lie flat on top of the stamp mount that the rubber die is attached to therefore making them easy to store by taking up much less space than the Common Seals with a red handle on top as pictured on this page. 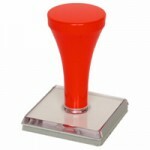 Stamp pads for the Traditional Hand Stamp Common Seals are also available. Refer to our Pads and Inks page for prices and sizes as well as ink for the self inking stamps. Our normal turnaround is one day but if you require your Common Seal urgently we have an emergency service available (conditions apply). If you would prefer to design your own Common Seal instead of using one of our templates, email or fax your artwork to us and we can make up a proof for you to view before going ahead with the order. 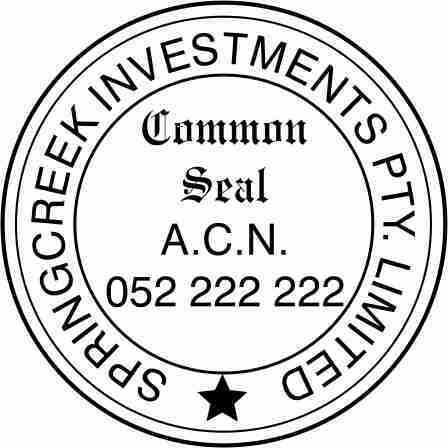 The information required to produce the Common Seal is the Business name and the ACN or ABN. 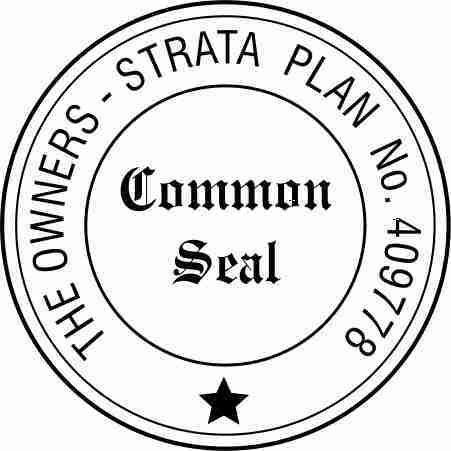 For Strata Title Common Seals the Strata Number is all that is needed as we have standard wording preceding the Strata Title Number. 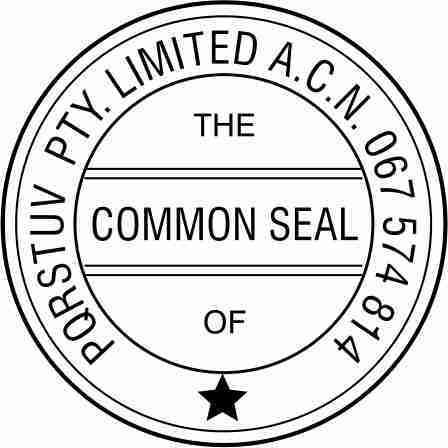 The price of the Common Seals are as follows: Self Inking $47.50 —Hand Stamp $27.50— Fold a Seal $36.30. Common Seal No. 7 is a bigger stamp and prices are $65.40 for Self Inking and $35.00 for the Hand Stamp. All prices include gst. You can purchase these items online by clicking on the relevant image above. Click here to like us on facebook.